Getting close to an arrogant bad boy like him is dangerous. Too bad it’s her only choice. Kain Badd looks great on paper: rich, handsome, and he’s even a prince. But after spending a few minutes together, Sammy sees the real him—arrogant, possessive, and too hot for his own good. If she hadn’t agreed to help plan his sister’s wedding, she could have avoided him. Instead, she’s waking up in his bed after an unforgettable night she definitely wants to forget. But he won’t let her. When Sammy thinks her life can’t get any crazier, the wedding is raided by the police, and she spends her first-ever night in jail. The irresistible Kain isn’t just bad in name—his family is connected to a dangerous underworld. Now she’s mixed up in a power struggle between his family’s empire and their rivals. She has no choice but to put herself back in this filthy prince’s extremely capable hands. Sammy must trust Kain to keep her safe. She’s just not sure she can trust herself to resist temptation. Hmmm, where to start with this review. This had a great premise, but I just don't think that it delivered what it had potential to. Kain is from a powerful family and when he is helping his sister find the perfect wedding dress, he meets Sammy, the dress creator. Sammy is witty, funny, brave, and somewhat naive. While helping Kain's sister by being a bridesmaid, she inadvertently pulls Kain in further. 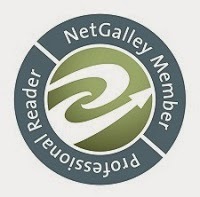 Without giving too much away, there are gangsters who are out for blood, someone who comes back into the story in a most unusual way, and a romance that develops. I think I have more of an issue with Kain than anyone in the story – even the gangsters. He seems to genuinely care for Sammy, but his actions don't necessarily reflect that. Overall, this was a sweet story about love that had great potential, but was only slightly satisfactory. This was an awkwardly funny read – in some places it was great, in others not so much… and it was definitely far-fetched in more than one place, which is why I’m only giving three stars. The premise was there but there were parts that were just too far out there to be believable. 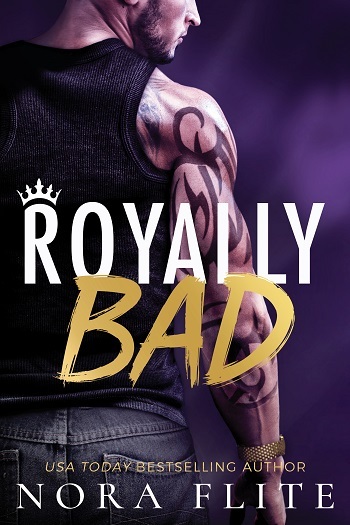 Kain Badd’s family is mafia-like and consider themselves royalty. Sammy is a wedding dressmaker just trying to survive and keep her mother healthy. When Kain’s sister whirls into Sammy’s wedding dress shop, demands a wedding dress (for an exuberant amount of money), and makes a insta-friend out of Sammy – Sammy’s life changes forever. She’s now been dragged into the Badd family drama and to “keep her safe,” Mr. Badd (Kain’s father) himself elects to literally lock Sammy away in his house for her own safety. Kain and Sammy’s attraction is immediate and though Sammy sometimes hates Kain’s attitude, she’s quickly falling for him… then things turn really weird when Kain’s other siblings start showing up. This story was a little confusing with all the names being thrown around. The writing style was okay and the storyline wasn’t terrible, it just lacked realism. The Badd family literally locks Sammy up in a room for months and won’t let her out for anything “for her own safety” and the entire book there are hints about Kain’s older sister being a bigger part of the story, but we’re really left hanging without a clue as to what is actually going on there. I didn’t like that the book left off with so many unanswered questions. On the bright side – I not only really liked both Sammy and Kain’s characters, I’m intrigued enough about Kain’s sister’s story that I’ll definitely be keeping my eyes peeled for the next book in the series. Hopefully it’ll answer the burning questions! A USA Today bestselling author, Nora Flite lives in Southern California, where the weather is warm and she doesn’t have to shovel snow—something she never grew to love in her tiny home state of Rhode Island. All her romances involve passionate, filthy, and slightly obsessive heroes—because those are clearly the best kind! She’s always been a writer, and you’ll probably have to pry her keyboard/pen/magical future writing device out of her cold, dead fingers before she’ll stop. 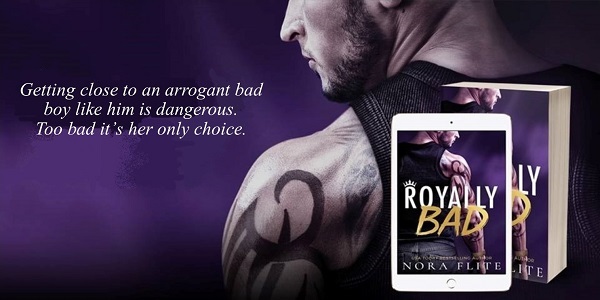 Reviewers on the Wicked Reads Review Team were provided a free copy of Royally Bad (Bad Boy Royals #1) by Nora Flite to read and review.